Flossie Lane, who died on June 13 aged 94, was reputedly the oldest publican in Britain, and ran one of the last genuine country inns. For 74 years she had kept the tiny Sun Inn, the pub where she was born in the pre-Roman village of Leintwardine on the Shropshire-Herefordshire border. As the area's last remaining parlour pub, and one of only a handful left in Britain, the Sun is as resolutely old-fashioned and unreconstructed today as it was in the mid-1930s when she and her brother took it over. According to beer connoisseurs, Flossie Lane's parlour pub is one of the last five remaining "Classic Pubs" in England, listed by English Heritage for its historical interest, and the only one with five stars, awarded by the Classic Basic Unspoilt Pubs of Great Britain. She held a licence to sell only beer – there was no hard liquor – and was only recently persuaded to serve wine as a gesture towards modern drinking habits. With its wooden trestle tables, pictures of whiskery past locals on the walls, alcoves and a roaring open fire, the Sun is listed in the CAMRA Good Beer Guide as "a pub of outstanding national interest". Although acclaimed as "a proper pub", it is actually Flossie Lane's 18th-century vernacular stone cottage, tucked away in a side road opposite the village fire station. There is no conventional bar, and no counter. Customers sit on hard wooden benches in her unadorned quarry-tiled front room. Beer – formerly Ansell's, latterly Hobson's Best at £2 a pint – is served from barrels on Flossie Lane's kitchen floor. Since she began to ail after a fall in 2006, her customers have helped themselves. There is no till. People put the money in a row of jam jars, one for each denomination of note and coin; although she was never observed to be watching, from her command-post in her favourite armchair she could distinguish between the different clinking sounds they made. The broadcaster Jeremy Paxman once described the pub as his discovery of the year. "Flossie, the landlady, sits in the middle of the room, wearing a pair of surgical stockings. The only food is a pot of eggs, which Flossie pickled several moons ago." Her regulars have formed themselves into a Flossie Lane Society, run as a kind of guild, and are known as Aldermen of the Red-Brick Bar. Every year they appoint a mayor, nominated by the outgoing one, who wears a squirrel-skin cape made by a local butcher. The mayoral handover involves the eating of squirrel pie and a parade through the village, led by the new mayor wearing the honorary mayoral chain, hat and staff which bears a symbolic sun in homage to the pub. When Hobson, the Rhodesian ridgeback belonging to The Fiddler's Elbow fish-and-chip shop owner next door, was appointed mayor, the dog was quickly found to be not up to the job and in turn appointed a successor. Although they are intended as harmless fun, the rituals at the parlour pub are seen by some villagers as strange and off-putting. "There are still some people in the village who think it's a secret society," one regular admitted, "but it's not a closed shop, even though it is a bit different and off the wall. We welcome people here." Visiting the pub in 1996, The Guardian's food writer, Matthew Fort, noted: "There was no sound but for the ticking of the clock and the conversation between the landlady and the only other customer, which had five-minute pauses between sentences." Like Paxman, Fort fudged the pub's exact location: "The landlady said that she didn't want a lot of folk coming along and disturbing the peace." Florence Emily Lane was born at the Sun Inn, Leintwardine, on July 10 1914, the only girl in a family of five. Her father had been a policeman at Ross-on-Wye and her mother was the first member of the family to hold the licence. Educated at the village school, as a teenager Flossie waited on the customers and helped out in the kitchen by washing bottles and glasses. After the death of her parents, her brother Charlie took over the licence in 1935 – the year of George V's silver jubilee – and held it jointly with her until his death half a century later. Flossie Lane had run the pub single-handedly since 1985. Both she and her brother were particular about who drank there; sons of the tillage were preferred, although some approved non-rustics were tolerated. The pub is still the base and meeting point for the local cricket club, bellringers and fly fishermen drawn to the river Teme which runs through the village. Although popular, there are concerns for the pub's future; over recent years, Leintwardine has lost four of its pubs and inns. During her infirmity Flossie Lane's regulars rallied round to keep the Sun going, manning it on a rota basis. The owner of the neighbouring chip shop ordered the beer from the brewery, served the customers, and delivered chip suppers which were washed down with pints of Flossie Lane's ale. Although her name remained above the door, latterly the pub was effectively run for her by its devotees, all of them locals. The accounts, the washing-up, the laying of the fire and even the sweeping-up were undertaken by the volunteers. Flossie Lane was proud of not having kept up with the times, and did not hold with modernisation. In an age of lager louts and binge drinkers, no one at the Sun Inn can ever recall the slightest hint of trouble there. "The pub hasn't changed in all the years, and they are all good people here – I won't have no rough," she insisted. Although she had been serving ale since the Twenties roared, Flossie Lane's secret recipe for a long life was simple. "I'm a teetotal," she said. "I like a nice cup of tea. I leave the drink to the others." A chronic agoraphobic, Flossie Lane was never known, within living memory, to have ventured outside her pub (other than to take the air in the rear garden). She never learned to drive and took her holidays at home. She enjoyed a reputation as the best-informed person in the village, and every evening cheerfully dispensed local gossip to her customers. In her advanced old age, Flossie Lane's regulars converted a downstairs room into a bedroom to spare her the stairs, but for the last 10 years at least she had slept every night in her customary armchair. The last person out tucked her up. Flossie Lane, who never married, is survived by five nieces. I was lucky enough to be one of Flossies regulars, oh how she would have chuckled to think that so many people where talking about her on the internet. Have to say that some things were a little inaccurate. 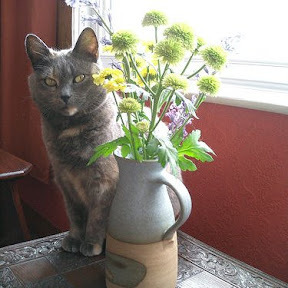 Flossie came to Leintwardine around the age of 9. She used to go on holiday although many years ago with a friend, and she did go further than her front door, until she slipped and broke her leg. 30 years ago she used to be on the pavement when I walked by and always talked to my small sons. She would pop round to Reg Martins, and go to the bank. Flossie didnt run the pub single handly since 1985, a local David went down every night at 9 pm (the pub was mostly empty until then) and he would serve the regulars, unpaid, but Flossie often bought him the odd drink. There were a small group that would help Doug the butcher, Jim Noakes, Viv and Peter Falkner, Gerald, Brian and Derek. (sorry if I left anyone out). In the latter years the band of willing helpers expanded, Frank, Deanne, Martin the doctor, Hayden and Rosie, Chris, Bob and Dee, and Gary and Wendy. We will all miss Flossie and the unique atomosphere of the Sun Inn. There are many stories which are very amusing and would make an excellent book. very well right now!. Rest in peace bossy! Peace.